B&W knows how to celebrate. The British audio company is marking its 50th anniversary with a set of to-die-for cans. What’s the best way to celebrate your 50th year of existence? 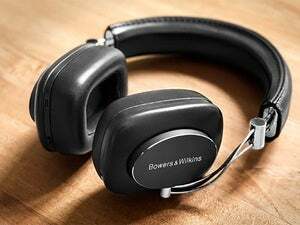 High-end audio brand Bowers & Wilkins is marking the milestone with the launch of an all-new set of flagship headphones: The P9 Signature. Joining the celebration could put a hefty dent in your bank account, however; these exceptional cans are priced at 900 bucks. Affordable being a relative term, there’s no disputing that the P9 Signature beautifully embodies B&W’s 50-year legacy. 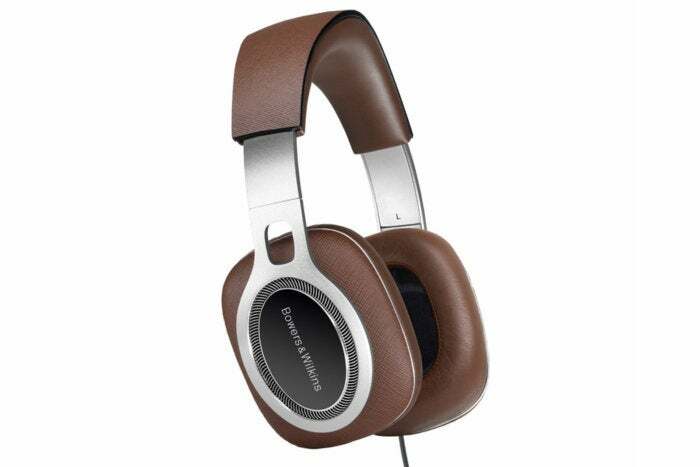 These headphones are luxuriously wrapped in supple leather produced by the Italian tannery ScaBrenta. 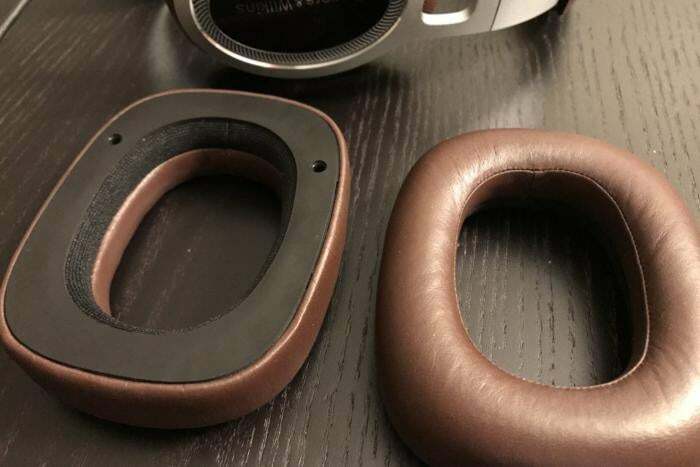 The leather surrounding the interior side of the ear cups and the underside of the headband is soft, supple, and incredibly comfortable against your body. 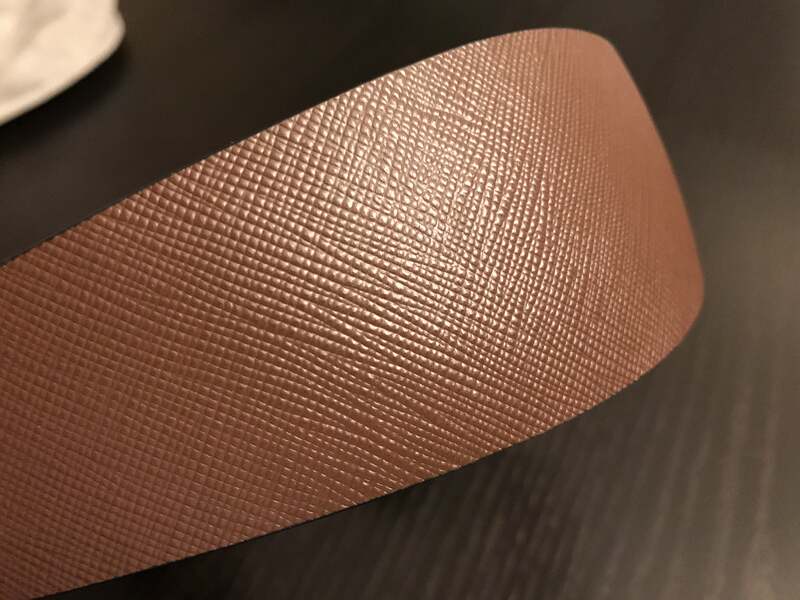 The leather used on the other side of the ear cups and the top of the headband, however, is what’s known as Saffiano leather, the result of a machine-stamping process that hardens the material and leaves a distinctive crosshatching to make it more resistant to scuffs and scratches. You could think of Saffiano leather as a dragon’s protective scales, and the leather that touches your body as the dragon’s soft underbelly. A detailed view of the P9 Signature’s cross-hatched leather ear ups and forged aluminum arms. For $900, you’d think you could order a P9 Signature in your choice of colors, or at lest be given the option of choosing black or brown; alas, brown is your only choice. And unfortunately—or fortunately, I suppose, if you intend to buy a set—these photos don’t do the color justice. It isn’t your run-of-the-mill tan brown, it’s closer to the color of rich chocolate ice cream or pudding. It’s equally difficult to convey in photos how brilliantly designed these headphones are. Similar to B&W’s smaller and less-expensive P7 and P7 Wireless, the P9 Signature are outfitted with folding arms that render them compact enough that you can toss them in a backpack or a large handbag. But where those models are fabricated from polished aluminum wire, the P9 Signature’s folding arms are fabricated from forged aluminum bands that that are devoid of sharp points save at the joint tips. The P9 Signature were designed by B&W’s Steyning Research Establishment design team in West Sussex, England. It’s the very same group of engineers who developed the company’s $30,000 800 D3 loudspeakers. Someone will surely enjoy using that factoid for bragging rights. 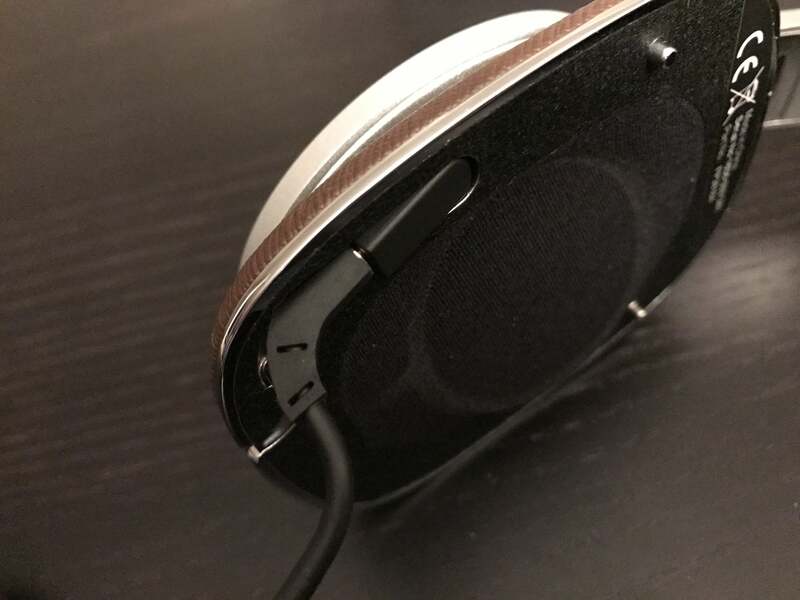 A detailed view of the P9 Signature’s angled drivers. 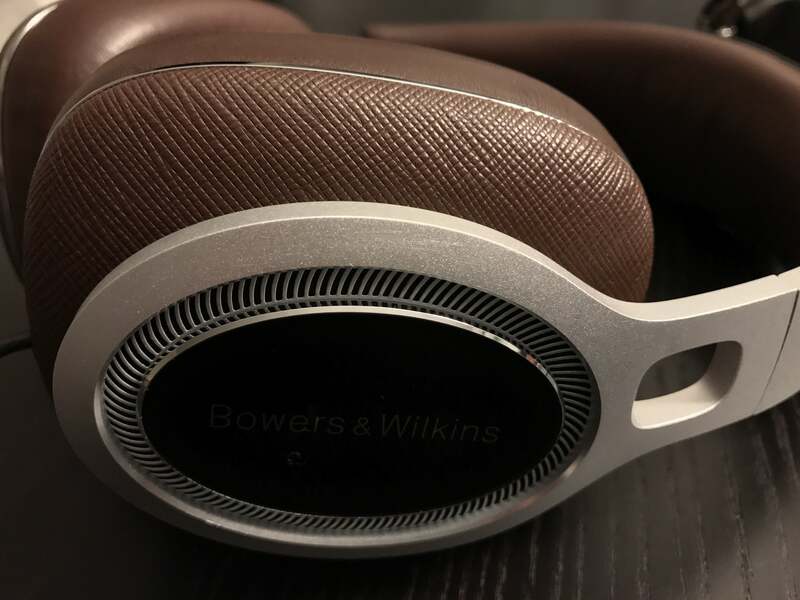 Indeed, these headphones’ specs look more like something you’d see in a high-end tower speaker than in headphones: Claimed frequency response ranges from 2Hz all the way to 30kHz. I’ll spell out the lower end of the range, so you don’t conclude it’s a typo: Two Hertz. That is far, far below the range of human hearing. You won’t hear it, but you’ll feel it in your skull: Sensations such as the thundering stomp of a T-Rex, the jolt of an exploding depth charge, or the glorious sensation of the world’s deepest organ notes. 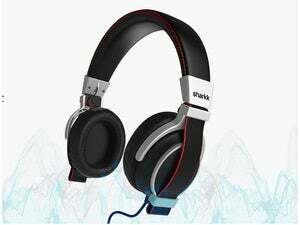 Presenting impedance of just 22 ohms and with sensitivity at 111dB/V, you’ll be able to drive these cans with just about any mobile device or battery-powered headphone amp. But I’d recommend using them with a high-quality headphone amp and DAC for reference listening. The P9 Signature are the largest headphones B&W has ever produced, and you really notice the difference when you compare the ear cups to B&W’s model P7. The P7 offer a snug fit on my head, and they secure to my ears in a fixed, finite position. The P9 Signature, by contrast, have far more room. 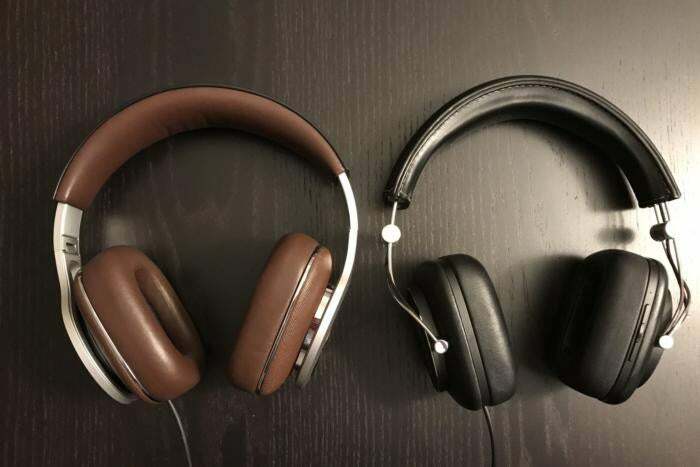 You can shift the ear cups forward or backward—even up or down—without your ears ever touching the interior edges of the leather. A side-by-side comparison of the P9 Signature with the P7 Wireless. Note how much larger the P9 Signature’s ear cups are compared to the P7. The P9 Signature’s 40mm drivers are completely new and take advantage of the larger acoustic cavity inside the ear cups. Look inside and you’ll see that the driver unit protrudes slightly into the ear cavity at an angle. Unlike most headphones that send the sound directly into your ears, the P9 Signature’s drivers are shifted to the front and angle in toward your ear. This arrangement feels more natural, because it’s closer to the way we experience music without headphones. 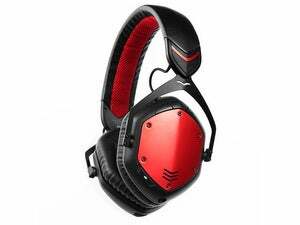 Many ultra-high-end headphones that cost several thousand dollars use similar designs. It won’t fool you into thinking you’re listening to floor-standing loudspeakers, but it is a significant improvement over typical side-firing headphones. 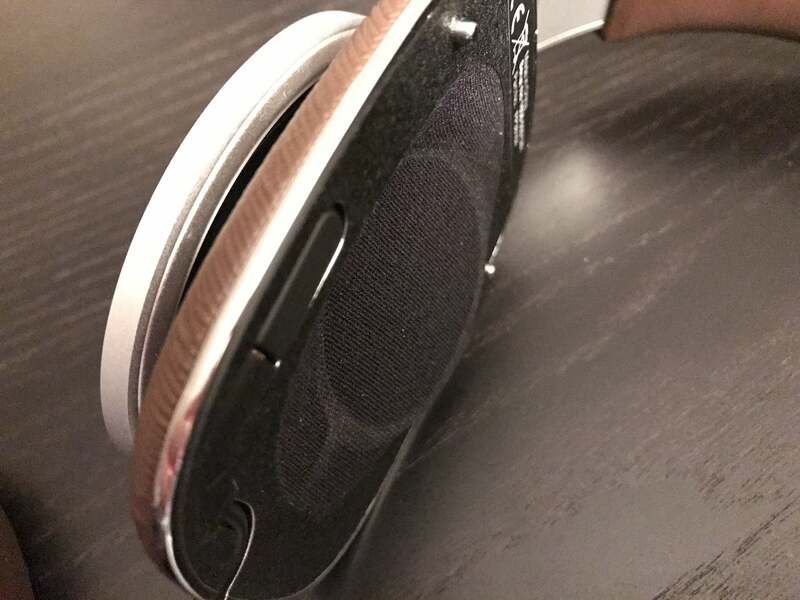 The P9 Signature’s ear pads are made of memory foam and have a venting layer that helps mitigate that hot and sweaty feeling you can get from over-the-ear headphones. 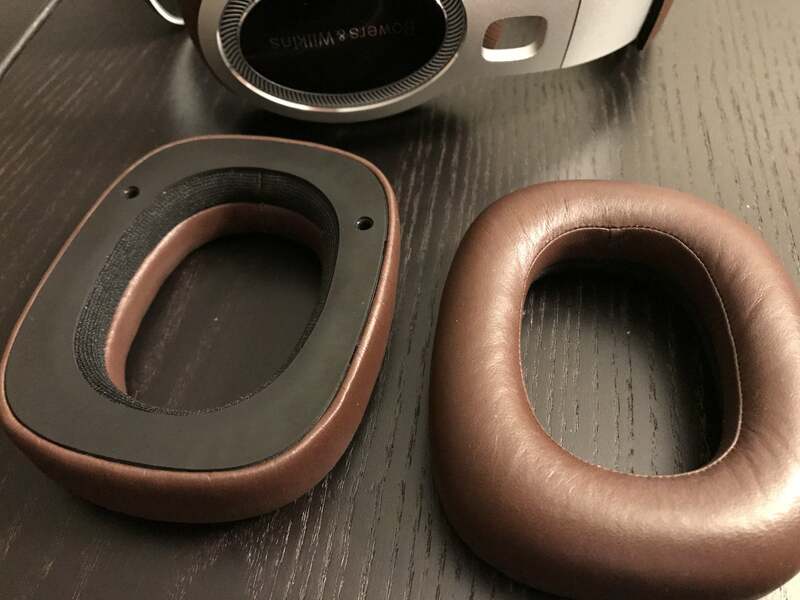 The P9 Signature’s leather-covered ear pad cushions are made of memory foam, which B&W says will mold to the shape of your head over time. They are incredibly comfortable and best of all, breathable. Over the several weeks I used them for music listening, video conferences, and even phone calls. I could I wear them for hours on end without getting hot and sweaty. But I will say that like every other B&W headphone I’ve tried, these are tight when you first put them on; they require a break-in period. Headband pressure at the very top of my head was a bit more pronounced with the P9 Signature than with other models; don’t fret, they’ll loosen up over time. 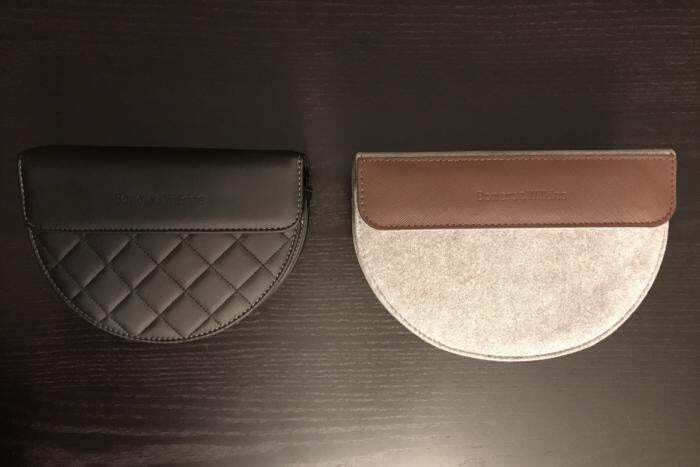 B&W pampers P9 Signature buyers with accessories, too, including a gray-colored, Italian-made carrying case made from an incredibly soft, suede-like synthetic material called Alcantara. The case folds flat and closes with a leather-accented magnetic flap. The P9’s soft, leather-accented carrying case compared to the P7’s. The P9 Signature are wired headphones, and they come with three 3.5mm analog cables (two are 1.2 meters long and the third is 5 meters). One of the 1.2-meter cables has a standard three-button inline remote. The 1.2 meter cables are perfect with portable players, while the longer one is ideal for sitting on the couch plugged into your favorite headphone amp. Following the announcement of Apple’s iPhone 7, which jettisoned the 3.5mm analog headphone jack, B&W announced that it will provide a Lightning cable free to registered P9 Signature owners sometime in early 2017. Over the three-plus weeks that I tested the B&W P9 Signature, I used several high-end digital audio players, including the Onkyo DP-X1 and the Astell&Kern AK70. I also paired the P9 Signature with an iPhone 7 and Optoma’s NuForce uDAC5. When I first donned the P9 Signature, what came out was incredibly smooth, natural, non-fatiguing, detailed sound. 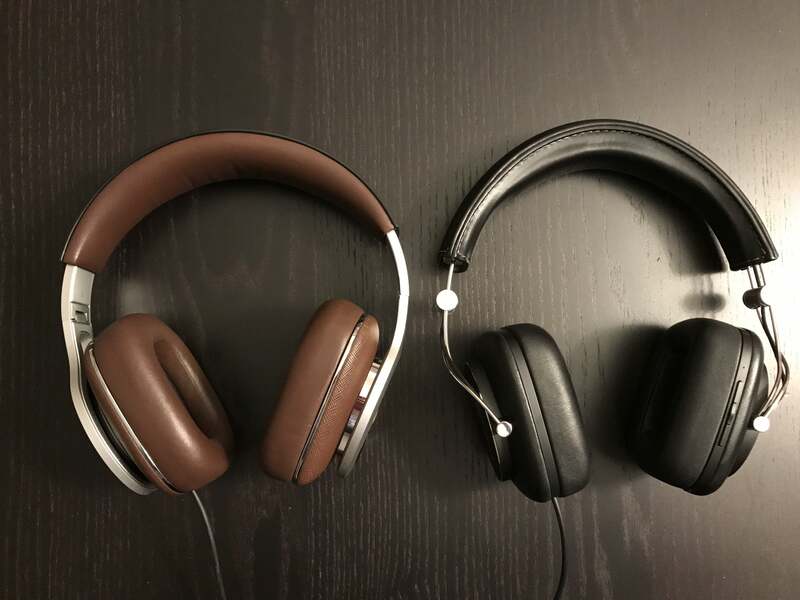 Comparing the P9 Signatures directly to some other headphones betrayed some of their coloration tendencies. The P9 Signature themselves sometimes leaned toward a slightly dark sound, depending on the source material. I occasionally felt as though they needed just a hair of additional EQ adjustment. The B&W P9 Signature feature magnetic ear cups and a hidden cord connector in the ear cup. Make no mistake, however, the P9 Signature can take in command of just about any musical genre. You can take these headphones to the club. They won’t shed their formal attire and not a hair will get out of place. Bass is simply natural. There wasn’t a single track on the DSD version of Daft Punk’s Random Access Memory that left me wanting more. There’s no undue bass emphasis, nor will you feel that any is lacking. Playing the Allison Kraus and Robert Plant duets “Please Read the Letter” and “Sister Rosetta Goes Before Us,” from Raising Sand (24-bit/96kHz FLAC) revealed every drum beat and bass line with dynamics and detail. There were times where I specifically noted the advantage of the angled drivers. For example, with Daft Punk’s “Contact,” the astronaut-style voice overlay did indeed seem to come from right in front of me. The image was solid and vivid. The advantage of the angled drivers also tends to be more noticeable with individual instruments. For example, the guitar work on City of the Sun’s To the Sun and All the Cities in Between (24-bit/192kHz AIFF) is situated solidly front left and front right, with the drums suspended solidly in the middle. That’s not a sensation I normally experience with headphones, where the image is shifted further out to the periphery. The P9 Signature had an uncanny knack of rendering music with both immediacy and dynamics. If there are spacial cues in the recording, you’ll notice them with the P9 Signature too. Fire up well-recorded music and this attribute comes out in spades. 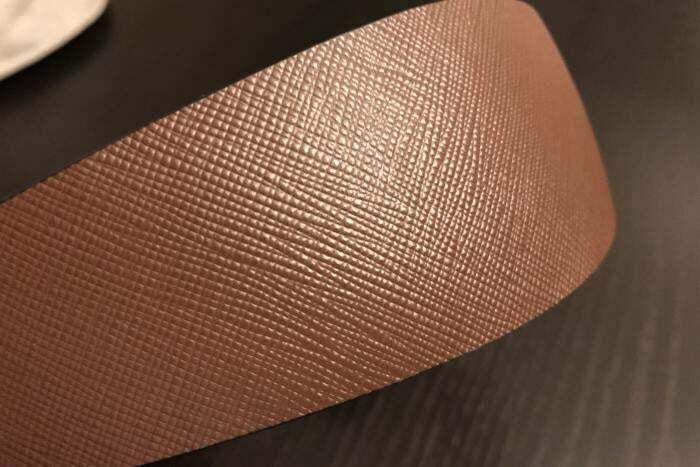 Detail of the cross-hatched leather along the top of the headband. If you want the P9 Signature to sound their best, crank up the volume; they really open up when you play them close to reference level. When you do, sit back and enjoy. 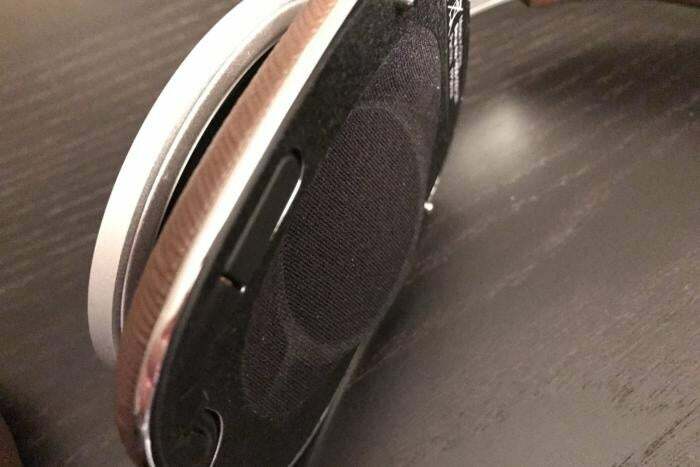 You’ll feel the bass in these headphone’s acoustic cavity. If you can’t put 1500 glorious watts of subwoofer action in your room, this is the way to go. I briefly jacked up the volume (I do value my hearing) to painful levels and there wasn’t a hint of harshness or strain. The sound was effortless. On a few occasions, however, I did get the impression that certain musical frequencies excited a particular resonance in the headphone cavity. Happy birthday, B&W, and congratulations on this awesome achievement. The beauty of the P9 Signature is surpassed only by its first-rate audio performance. Expensive? Yes, $900 is a whole lot of lettuce. But the price tag isn't over the top for what's delivered. It certainly wouldn't be money wasted. 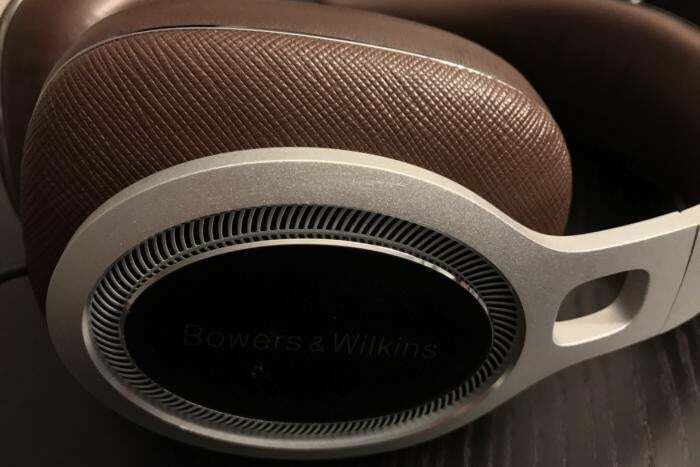 B&W's exquisite P9 Signature Headphones are the largest, most luxurious, best-sounding headphones the British company has ever put within the reach of moderately well-to-do mortals.